Today's apparel trends are being driven from the consumer up, rather than from the big brands down. According to the NPD Group, in the 12 months ending in May 2018, the younger consumer has shaped the trends by sharing distinctive products on social media. As a result, the independent, more versatile smaller brands have gained in importance. With their use of social media and multiple electronic devices, today's intensely collaborative young consumers are driving "micro-influencer marketing", which relies heavily on peer effects to make purchase decisions. In this challenging retail environment, the major brands have found success by partnering with individuals that have smaller social media followings to promote branded products using authentic visual posts, rather than through paid sponsor advertising. "Across several outdoor apparel categories, smaller brands are also growing in market share," says Matt Powell, VP for the NPD Group. "Small is the new Big! The unique small brands are generating the most interest. Peer influences and sustainability are their key issues." According to Powell, the 2018 women's segment represented the biggest growth trend and the largest category in the outdoor industry. The brands are responding to consumer needs by making women-specific clothes, especially in extended sizes. The top selling Women's Growth Categories included Women's Backpacks, Women's Sweatshirts, and Women's Hiking Footwear. The FabricLink Network highlights some of the important fabric trends and styles that generated interest at ORSM'18, which are contributing to the growth in the outdoor market. RõM Outdoors manufactures all of its outdoor clothing and gear to be versatile. At Summer Market, RõM featured its unique RõM Pack. This 3-in-1 system is a backpack with over 3,000 cubic inches (about 1.75 cubic feet) of carrying capacity, made from a 600-denier poly fabric with a PVC backing. This convertible pack can fully transform into either a wearable poncho with a hood, or a blanket that has a soft fleece on one side and is water resistant on the other. 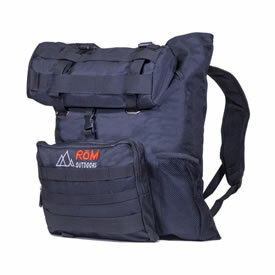 The RõM Pack is designed with comfortable padded shoulder straps, which distributes the weight of the user's gear. The Load Balance Strapsâ€¨at the chest and waist wrap around and fasten, helping to allocate the pack's weight for uniform comfort. While the RõM Pack is being used as a poncho or blanket, the Inner Pack drawstring liner can be used for stowing and carrying other cargo. Carhartt's newest generation Men's Full Swing® Steel collection is designed with extra rugged stretch CORDURA® fabric for lasting durability, performance, and ease of movement. 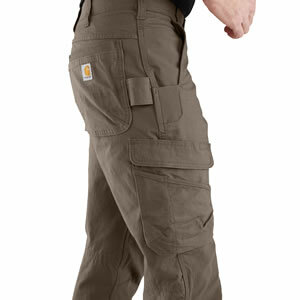 The pants and the jacket are engineered and incorporate multiple CORDURA® fabric technologies, delivering flexible, versatile, and durable solutions for hardworking people, that provides the comfort necessary for moving from one project to the next with support and comfort, whether bending, kneeling, crouching. The actual design, fabric and trim development, testing and prototyping, to the final product was approximately a year-long process. Engineered CORDURA® fabric technologies in combination with ergonomically placed kneepad pockets were incorporated to provide an enhanced level of comfort and protection. The new Carhartt® Full Swing® apparel line, featuring CORDURA® fabric, will be available Fall 2018 in select Carhartt® stores or online. Schoeller announced the expansion of consumer product applications for its PFC (perfluorocarbon)-free technology finishes of ecorepel® Bio and 3XDRY® Bio at ORSM'18. Based on renewable primary products and delivering state-of-the-art weather protection and moisture management performance, eco-conscious brands like Aztech Mountain, Dakine, Mammut, Tilley, and Theory are utilizing Schoeller's ecorepel® Bio and 3XDRY® Bio to align product sustainability with the performance expectations of their core customers. Both Schoeller technologies are PFC-free. 3XDRY® Bio supports the body's own natural cooling function, ensures reliable water- and aqueous dirt-repellency, and optimum moisture management. Mimicking plants, the ecorepel® Bio finish envelops the fabric fibers, providing a permanent odorless, repellent effect for water and aqueous dirt run-off. for activewear, outerwear, swimwear, or bags. Brookwood showcased its broad array of fabrics for a wide variety of outdoor applications. 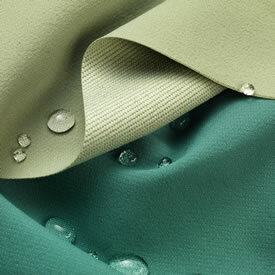 The Brookwood Family of Performance Fabrics includes: Ultra Light Performance Fabrics for sleeping bags, jackets, tent shelters, and activewear; Technical Wovens and Performance Knits for active markets; a full range of nylon-cotton and 100% cotton for apparel and outerwear uses; Urethane Coated and Laminated Fabrics for applications requiring wind-proof, water-proof, breathable properties, and its ASSAULT® WPB System; 200 Denier to 1050 Denier Heavyweight Fabrics for the bag/luggage markets; and its HST Heat Sealable and RF Weldable Fabrics.